With Father’s Day just around the corner, this simple dessert is dedicated to all the fathers including mine. First I thought of baking some fancy dessert but then I thought maybe this simple white chocolate mousse could define more – the word father. 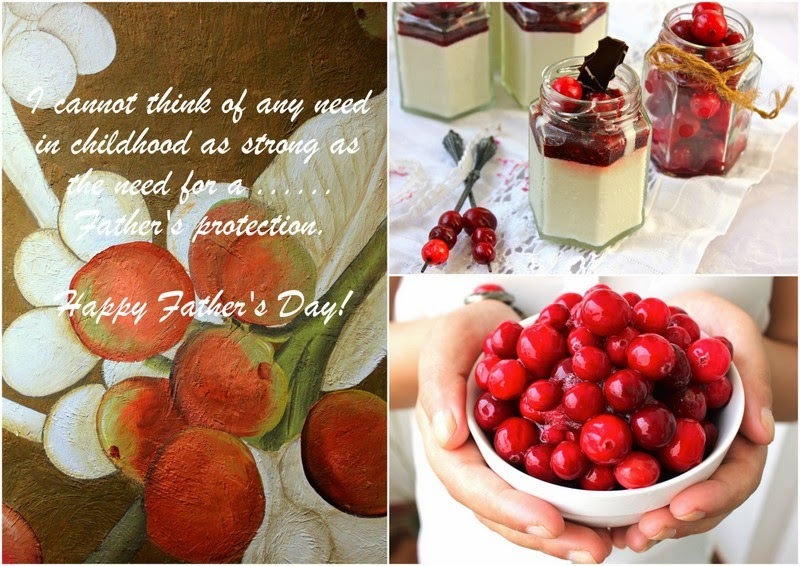 Most of the fathers out there are very similar to this dessert complicated from outside yet so easy and simple from deep within, their love is pure and they are the strong pillars of the family. But sadly I am so tight-lipped on one topic – dad, I never got the chance to know him much. All I remember is some faded memories of childhood, stories from maa and relatives. I try hard sometimes to connect those faded blurred flashbacks with the photographs clicked with him, all I remember is a shadow of a fatherly figure, not much could be expected out of the memory of a six-year-old kid. Still, from those six years I have some incidents imprinted in my mind and all I could feel is he was a wonderful and loving father. Today even after all these years passing by I sometimes sit by myself and imagine how my personality would be, if my dad would have been around in my growing years, after marriage when I listen “His” stories of father – son relation I realize such an integral part of my childhood is been missing. Thanks to my mother’s extraordinary parenting skills we (me and my brother) both have grown up as a strong, sensitive and independent individuals, she never encouraged us to cry for what we could not have but always look for our strengths and get best out of it in life, she always told us the happy endings of the stories, she always taught us to learn from our mistakes, she always shared her failures with us and may be that is the reason I created this dessert as my salute to all the great fathers in the world. Though I have done mousse earlier as well Chocolate Mousse (see recipe here) for celebrating Valentine’s Day this one is no bake, eggless and gluten-free basically the easiest dessert one could think of during summers. 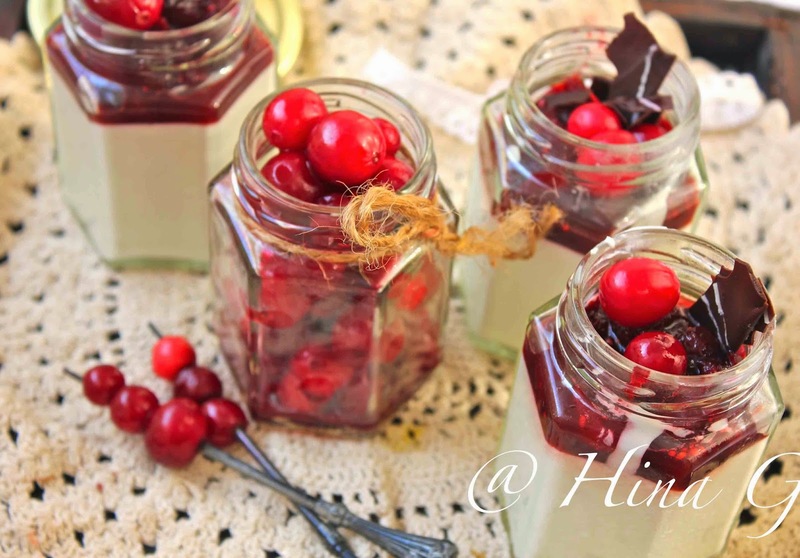 Gluten Free easy white chocolate mousse recipe topped with cranberry balsamic glaze. In a small bowl sprinkle the gelatin over the water, let stand for atleast 5 minutes. Place the chopped white chocolate in a bowl. Bring ½ cup of cream to a simmer in a small saucepan over medium high heat. Remove from heat and the gelatin mixture, whisking until fully dissolved. Sieve to avoid any lumps, pour the cream mixture over chopped chocolate, whisk until the chocolate is melted and the mixture is completely smooth. Cool to room temperature, stirring occasionally, 5 to 8 minutes, the mixture will thicken slightly. With the hand blender ( buy it here) in another clean and dry bowl whip the remaining 1 cup cream until soft peaks form. Using rubber spatula fold whipped cream one third at a time into the chocolate mixture without deflating much air out of the cream, fold in rest of the cream and mix until no white streaks visible. 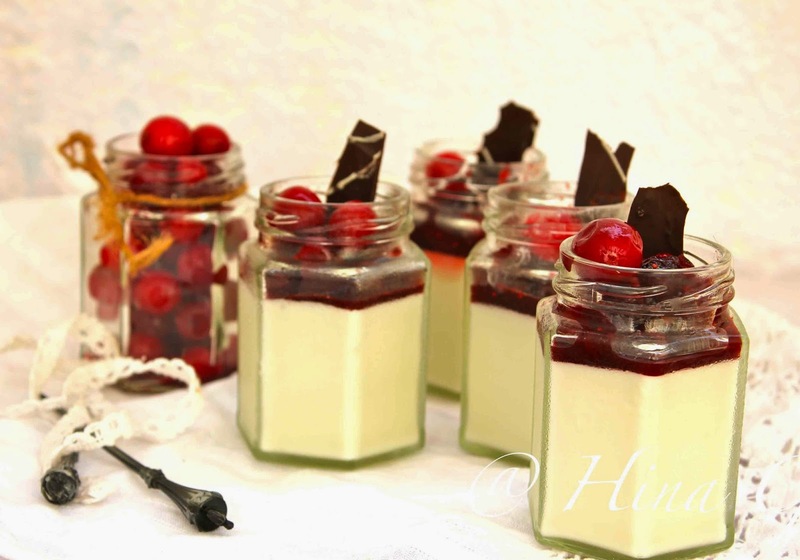 Pour the mousse into the serving glasses and chill in the fridge for atleast 3 – 4 hours or overnight. To make glaze, put all the ingredients in a small pan and cook till cranberries are slightly mushy and thick syrup is formed. Take it off the stove and cool it completely. Keep in the fridge until required. Once mousse is set, add spoonful of cranberry glaze on top and serve chilled. Lump in my throat after reading your sensitive lines on fathers, even though you do not remember him too well! And this dessert is so apt and wonderful for ‘Father’s Day’! I am touched by the content you shared about your personal life, in the midst of such a sweet delight. Even though I don’t know you much Hina, but I feel proud of you just by going through your blog in my daily life. Thank you, for all that comes to me through your blog.